Tiger Shroff, Disha Patani starrer Baaghi 2 is all set to make a huge splash in Bollywood this year. Directed by Ahmed Khan, the film is an adaptation of Adivi Sesh, Adah Sharma starrer Kshanam; however, going by the trailer, the Hindi adaptation is going to be action-packed. 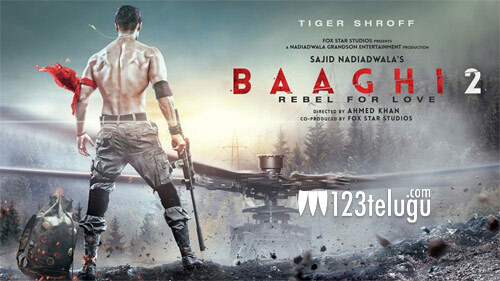 The film has been under production for a while now, and it looks like Tiger Shroff has gone all out to bring never-before-seen action sequences to big screen. Although Kshanam was a thriller, the Hindi version looks more focused on exploring Tiger Shroff’s action-hero image, and the action choreography speaks for itself. Last year, Kshanam was remade in Tamil, and now, the Hindi version is going to take the audiences by storm on March 30.